What happens when you find an unopened container of Perler Beads at the thrift store? You buy them and spend numerous hours making designs with them. This also includes cursing when you accidentally bump your peg board and knock over beads or spending way too much time than you'd like to admit searching and sorting colours. It's been fun and addictive and sometimes a little frustrating. 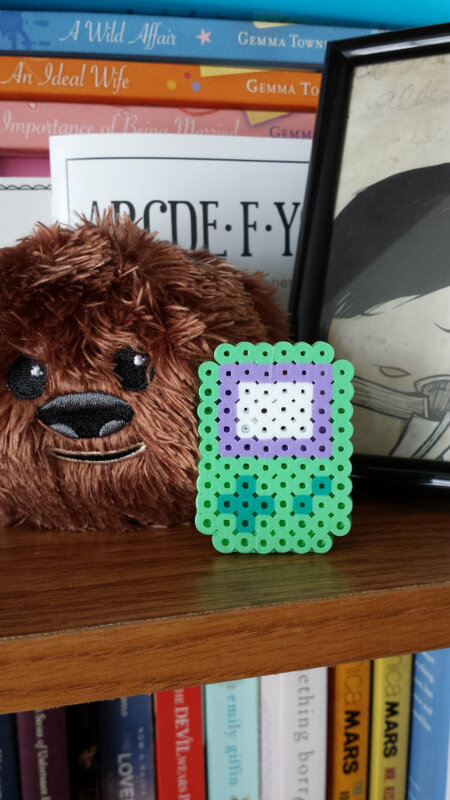 So what are Perler Beads? 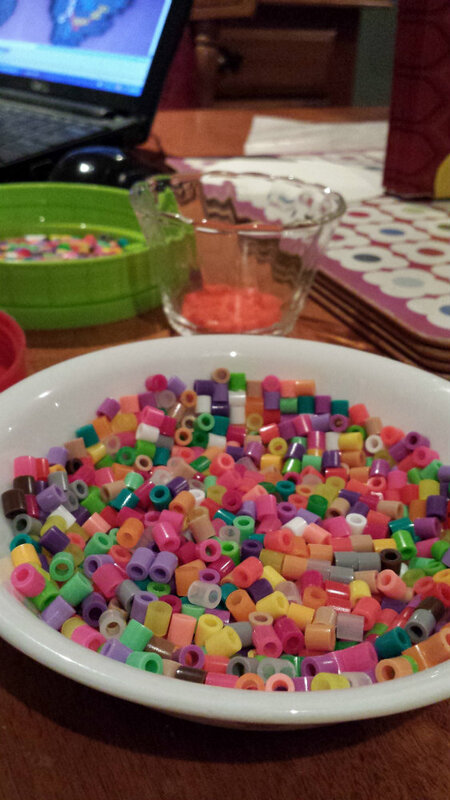 "Perler beads (as known as Hama beads or Nabbi beads) are plastic fusible beads. These colorful beads are usually arranged on plastic pegboards to form patterns and then fused together with a clothes iron." Thank you Perlest for the easy description. Let me show you some of our finished designs. I'm so in love with how everything turned out! I've turned most of these into magnets. We have a few more designs resting on our bookshelf that I haven't photographed or glued magnets to yet. There are a lot more designs I want to try, especially a black cat (I can't just make an orange Seymore, I need to make Logan too). But we're running low on black beads so until we pick up more, we have to make more colourful designs. 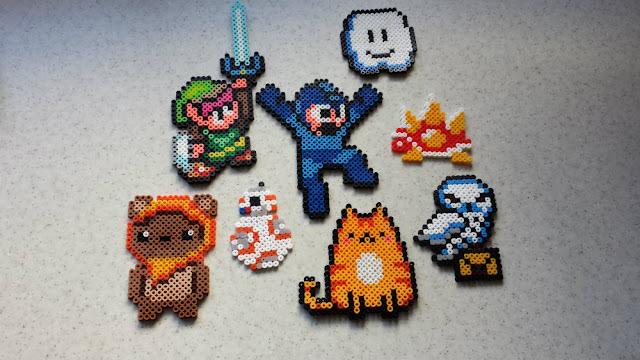 Have you used perler beads before? They're fun but they require patience. And steady hands. Those all look so great! I've really been wanting to play around with the mini hama beads for jewelry and what not, but can't seem to find packs with the right assortment of colours. I especially love your Wicket (obvs). Aaaah! So much cuteness! I love that Ewok. I haven't used them in years, but seeing all the awesome designs being made inspires me to want to pick it up.